Difficulty distinguishing migraine headache from tension-type or other headaches. 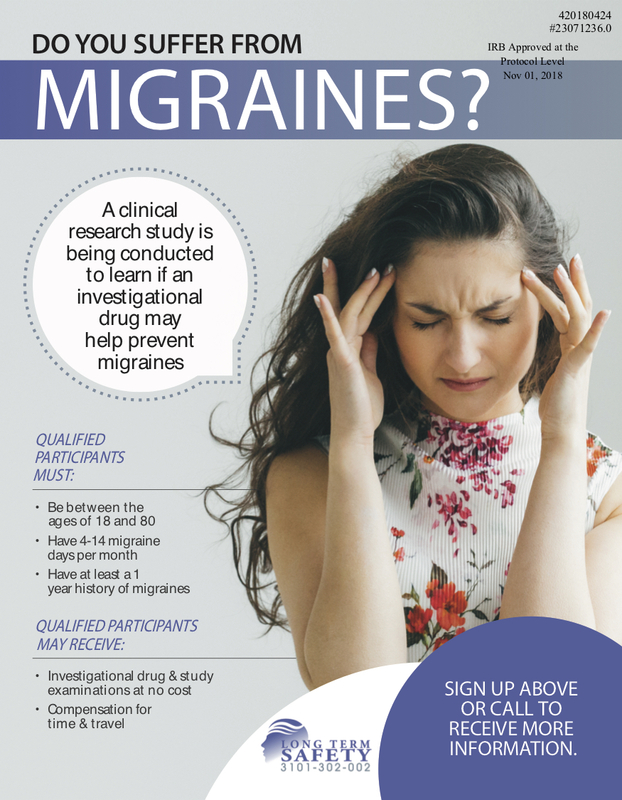 Required hospital treatment of a migraine attack 3 or more times in the 6 months prior to Visit 1. Hypertension as defined by sitting systolic blood pressure > 160 mm Hg or sitting diastolic blood pressure > 100 mm Hg at Visits 1 or 2. Vital sign measurements that exceed these limits may be repeated only once..